Limnology is the study of the structural and functional interrelationships of organisms of inland waters as they are affected by their dynamic physical, chemical, and biotic environments. 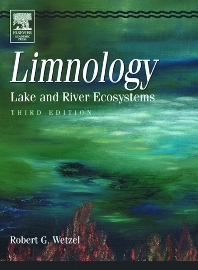 Limnology: Lake and River Ecosystems, Third Edition, is a new edition of this established classic text. The coverage remains rigorous and uncompromising and has been thoroughly reviewed and updated with evolving recent research results and theoretical understanding. In addition, the author has expanded coverage of lakes to reservoir and river ecosystems in comparative functional analyses. Advanced undergraduates, graduate students, faculty, researchers, and government employees interested in freshwater ecology, water management, environmental sciences and many related areas. This is a very good book with the basics of freshwater ecology.